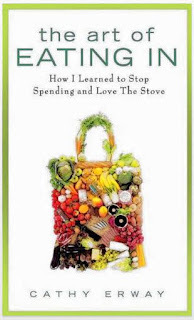 Crown Heights resident Cathy Erway is one of the new faces in local foodie culture, thanks to her blog, chronicling her adventures in not eating out in New York, and now the book version, "The Art of Eating In," which expands on those stories (read more about that here). Even though she's eating most meals in, that doesn't mean she's not going out. Every night of the week it seems, there's a food-related lecture, screening or cook-off. "They're happening all the time. It's really exciting," says Erway. Informal cooking demo along with four finger friendly courses paired with wine at a mystery Williamsburg loft. RSVP required at info@thenoblerot.com. Appetizers by Hapa Kitchen and Razor Shiny Knife, music from zombie jazz quintet Father Figures (with Adam Schatz of Previously on Lost), DJ sets by Finger on the Pulse, and a very special reading from Cathy. Drink specials by Sixpoint and $2 of each ticket will go to benefit Just Food and Oxfam relief efforts in Haiti. Register to enter the Crostini Cook-off at katarina@theartofeatingin.com. You too took can join the cause. The Huffington Post is encouraging readers to participate in your own week-long experiement in cooking your food at home. They'll provide how-to's on "everything from how to not waste food to great winter recipes," as well as invite you to share your own experience. Ready to take the plunge? Sign up here (and invite your friends - they'll be people to invite over or join in potlucks with!). Kitchen Klutz: Stew and Snuggie!